Many Classical Dressage riders of today do not compete as they feel the Competition World does not recognize and reward "proper training". Here at the First Coast Classical Dressage Society, we wish to bridge the gap between the Classical approach to training and way of going and some modern interpretations of the correct way of going that often dominates the show arenas. The gap must close and Classical Dressage must fuse with Competitive Dressage. We encourage Classicist to come off of their farms and reenter the show environment and spread the knowledge and training techniques of the Classical Masters. The more modern interpretations are witnessed and promoted in the show areas without contrast, the more they will continue to be accepted as proper. Even breeders are being influenced by modern interpretations selecting for certain traits to promote. It is not a coincidence that horses trained and showed (and now sometime breed) under the modern interpretations of training and the way of going suffer injuries, are in need of frequent joint injections and have limited length careers. Herwig Radnetter, Master Classical Dressage trainer, stated to our group recently - horses, if trained appropriately, are capable of Grand Prix into their 20s. With incorrect training, their abilities are limited. This applies to any horse at any level. What are the main challenges affecting the relationship of Classical Dressage training and modern Competition? Let the journey and discussions begin. Let the discussion reach the National and International Federations. As both a competitive and Classical theory based organization we will focus on current and past Classical Trainers, their theories, their training techniques and promote their awareness, use and application and encourage competition. ​Now witness over 450 years of Classical Dressage Theory and Training and the correct Classical way of going. Note the vertical or angle of the horses neck. Note the use of the curb bit and its angles. A Celebration of 450 years! Everyone on the First Coast knows that this is the year St. Augustine is celebrating its 450th year anniversary, even the King of Spain is attending the celebrations. 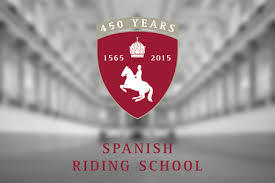 Few people know that the oldest Classical Dressage school, the Spanische Hofreitschule in Vienna, Austria, is celebrating its 450th year as well. Many celebrations and ceremonies are taking place in Vienna and all over the globe. How appropriate First Coast Classical Dressage has been founded this historic year and will now begin to promote hundreds of years of knowledge to our Members! ﻿﻿﻿﻿﻿﻿﻿﻿﻿﻿"It can often take anything up to 8 to 10 years or more for an apprentice to become a rider. 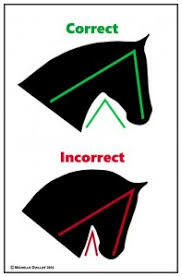 Correct posture in the saddle is the basis and starting point of all equestrian skills. It requires a lifetimes practice." "The Spanish Riding School is the only and the last institution which fosters Classical Dressage in its purest form. "There can be true understanding between humans and horses. If we're prepared to bring tolerance and friendship to our perception of the way a horse thinks and feels and to enlist it as mans partner without depriving it of its inner most nature. This is the message of the Majestic white horses, the Lipizzaner, of the Spanish Riding School ."